Lean on Pete (film, 2017). A 2017 drama film with "R" rating by Curzon Artificial Eye/A24. Directed by Andrew Haigh. Official Trailer. 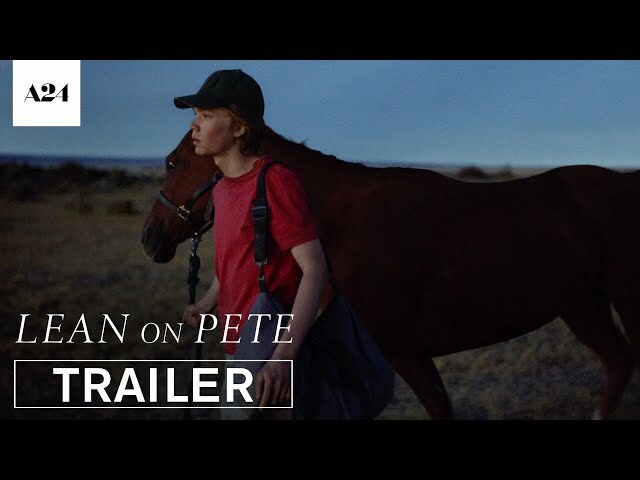 Lean on Pete is a 2017 drama film directed by Andrew Haigh. Lean on Pete | Official Trailer HD | A24. 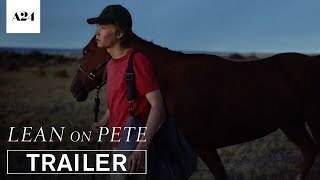 Charley, a 15-year-old living with his single father, finds casual work caring for an aging racehorse named Lean On Pete. When his father dies, making him likely to go into care, and he learns Pete is bound for slaughter, Charley and the racehorse embark on an odyssey across the new American frontier in search of a long lost aunt. Principal photography began on 13 August 2016, and took place in Portland and Burns, Oregon. The film Lean on Pete was scheduled to be released by Curzon Artificial Eye and A24 on September 1, 2017 (Venice), on April 6, 2018 (United States) and on May 4, 2018 (United Kingdom, Ireland). The duration of the film is 121 minutes. With a budget of $8 million, the film grossed over $2.4 million. Lean on Pete got high rating from critics. The audience also likes the film.